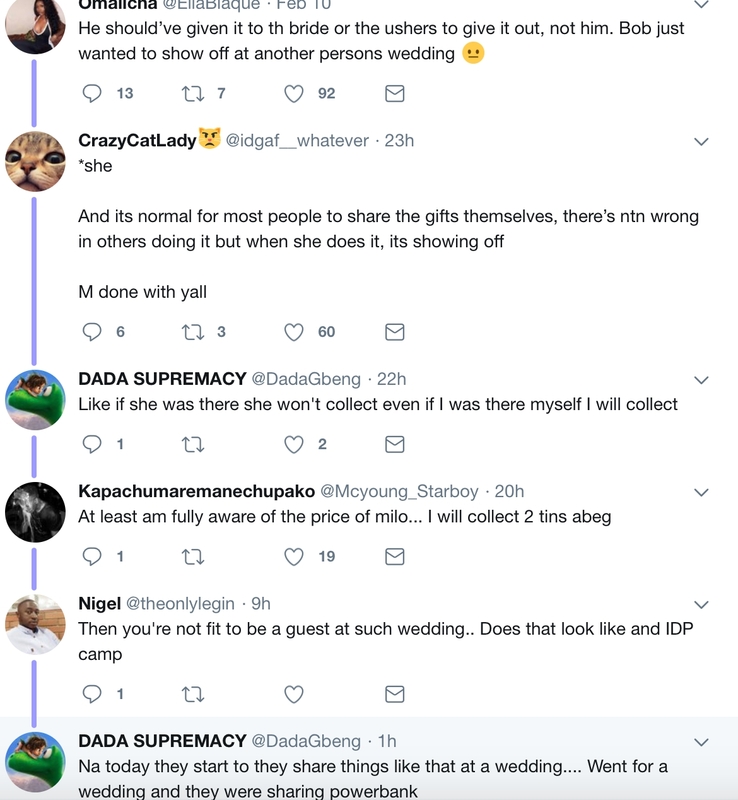 Bobrisky posted the video of him co-ordinating the distribution of the souvenirs on his snapchat. 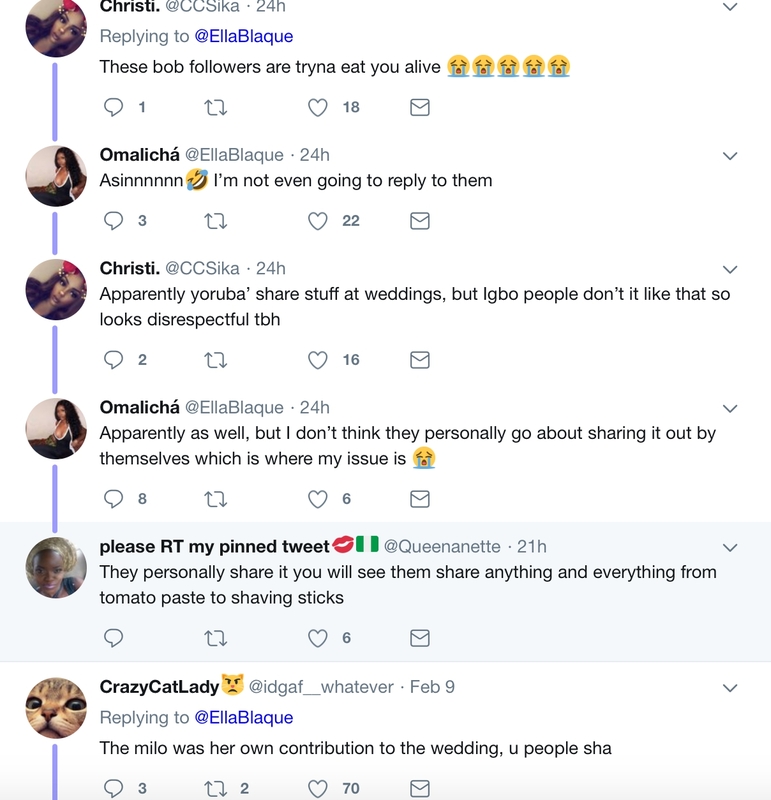 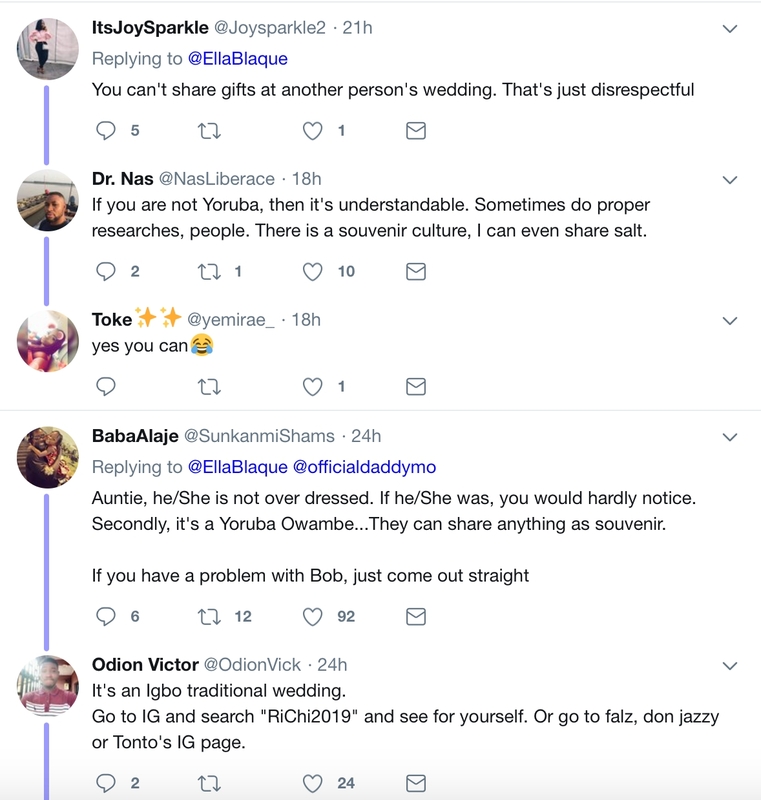 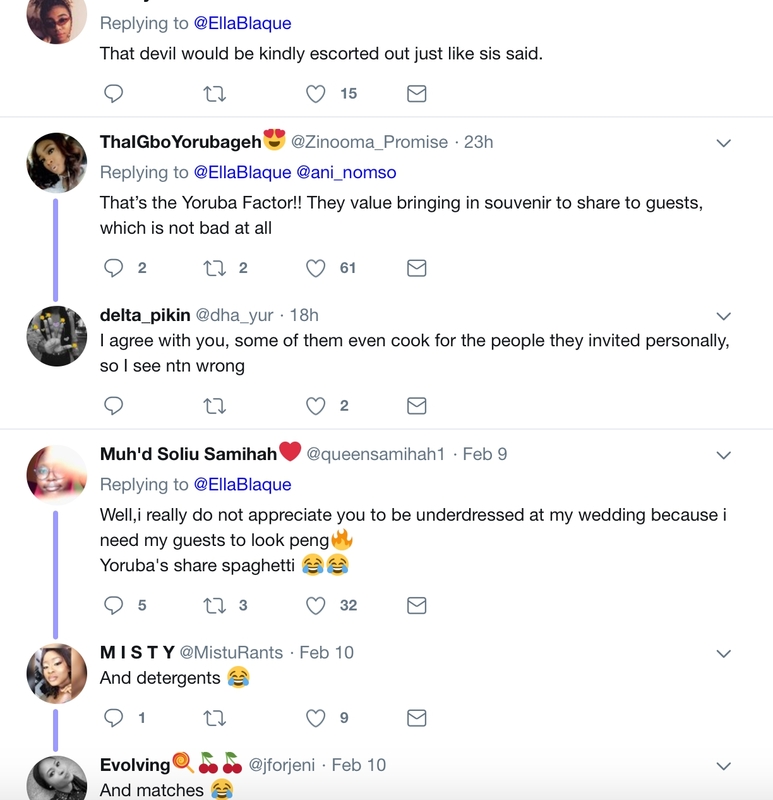 A lady took to Twitter to blast Bobrisky for sharing milo personally at the wedding. 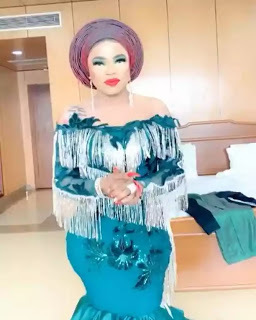 Some also faulted the claim that Bobrisky was overdressed.